Bought from the Leicester Gallery 1957: they were selling it on behalf of Miss Saunders. the sitters are F.H.’s friends Hannah Ritchies (left) and Jane Saunders. Reproduced in Penguin Modern Painters Frances Hodgkins where it is dated 1922 - Charles Brasch notebook. 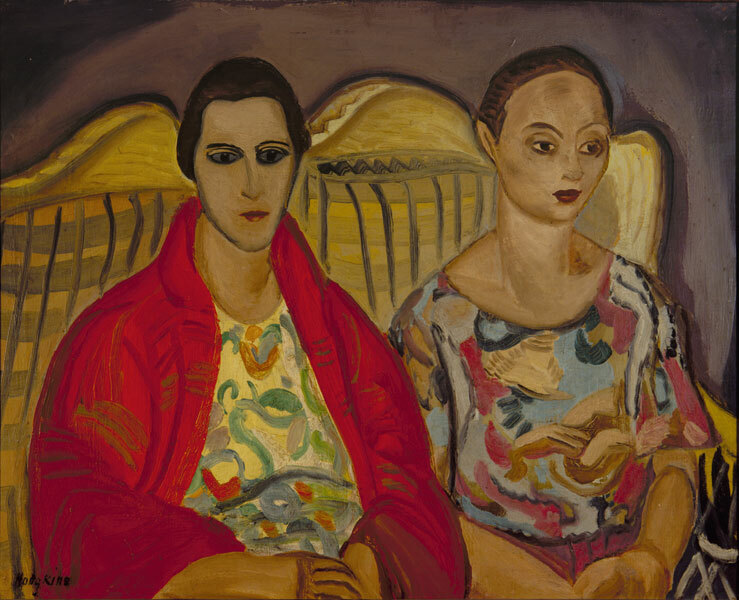 Hodgkins, Frances, 1869-1947, “Double portrait.,” ourheritage.ac.nz | OUR Heritage, accessed April 26, 2019, http://ourheritage.ac.nz/items/show/4500.